The time of the year, that everyone has anxiously been waiting for is finally here. Kids, elders and everyone else is all set to welcome a new year and right before welcoming the year 2017, they will have a joyful time of celebrating the Merry Christmas 2016. Santas are preparing gifts for the kids, light/holiday trees are all set and the decorations have been started as well. The 2 gifts of winter i.e. The Christmas and the New Year deserve the best celebrations as these events occupy an importance in everyone’s lives. While most of the viewers are busy picking up the stuff that shows their love for the Christmas 2016, we have tried to add a little to their celebrations by collecting a few Merry Christmas wallpapers. 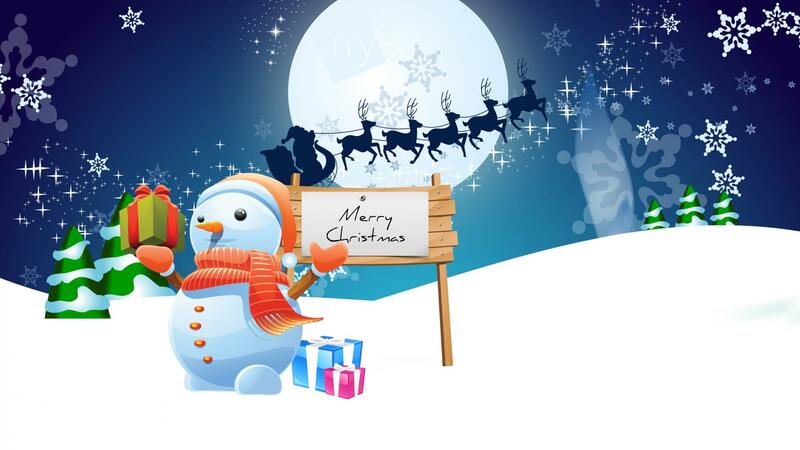 We have picked up the best HD Merry Christmas 2016 wallpapers that fit perfectly on the screens of your Desktop PC, Laptops and even on the screens of your smartphones. All the Merry Christmas 2016 wallpapers are in HD resolution. To download, you can just click on your favourite wallpaper and save it either to your computer or your smartphone. Once you have saved it, you can apply it on your gadget. Have a look now and download them right away. Note: All these wallpapers are a property of their respectful owners. We do not own any of the images attached above.